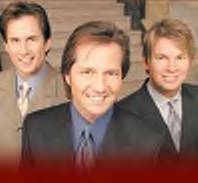 The Booth Brothers have been honored to be the recipients of eight SGN Music Awards. They were handed out at an awards celebration on Tuesday, April 25, 2006 in Smyrna, Tennessee, just outside of Nashville. 4 Top 100 Sites in New England! Join today! DIRECTOR DR.THOMAS MATHEW,A MEDICAL DOCTOR. Teen years can be tough! challenging! perplexing! Good, solid advice is not always available. But here it is!